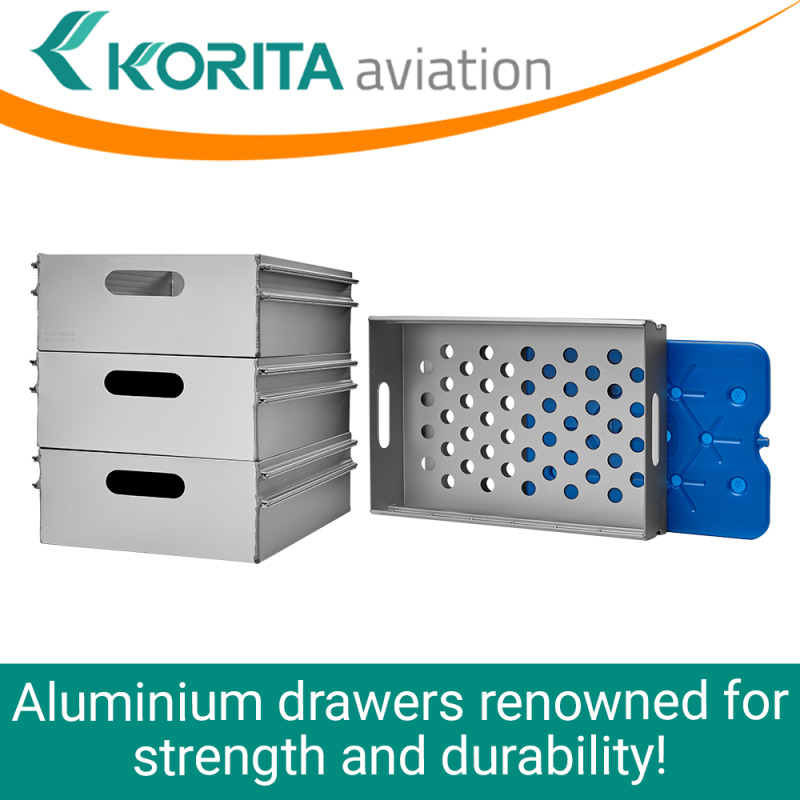 Korita Aviation aluminium rail catering drawers feature dual side runners with rubber undersides for easy gliding and noise reduction. Stay on track. Contact us.